For appetizers, we ordered the Marinated Intestines because I know my boys had taken to a liking of this. The intestines were served warm which contrasted very nicely with the cold sourish pickled cabbage. It came with two types of sauces too (also one hot and one cold). We expected the texture to be chewy but instead it is soft. It is simply good. $4.50. 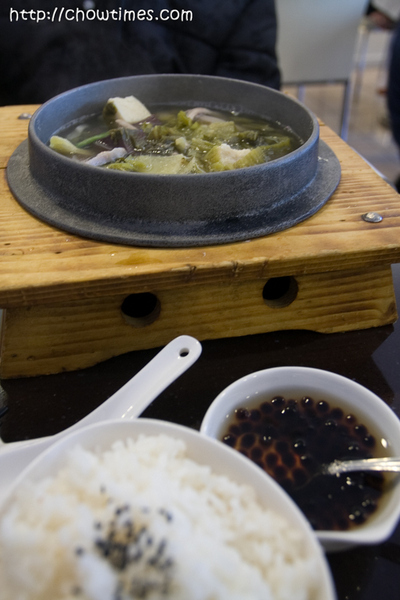 I had the Hakka Pickled Cabbage Hotpot which is unique in that it came in a wooden platform. This is safer compared to just the bare metal hotpot. This $9.50 meal came with a serving of rice and a small dessert. Although $9.50 is a bit pricey but it is worth the price. 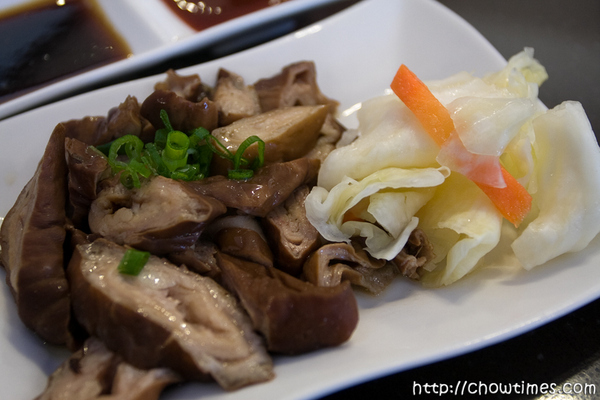 It has a very generous serving of mainly pork stomach and lots of pickled cabbage. What I did not like was the pig(?) blood. So, I left it untouched … and not one in the family wants it. The thought of eating it turns us off but I know many people likes this. They gave each of us these small saucers of smallish tapioca pearls. Because it was served in such a small saucer, I thought that for a moment it is some condiment I need to throw into the hotpot. 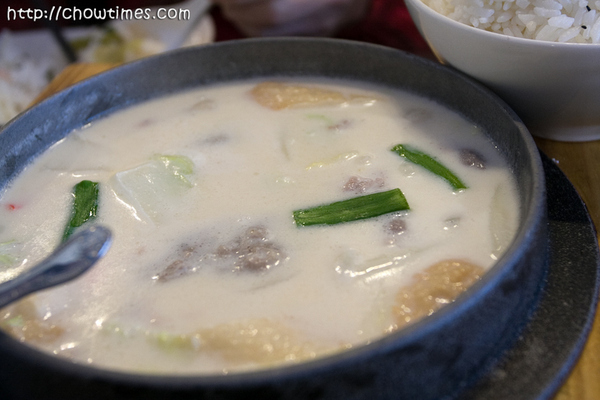 Suanne also ordered the hotpot (also $9.50) but opted for the more unusual Hokkaido Milk Hotpot. The whitish soup tastes kind of weird to me but Suanne seems to like it. Well, I am not exactly a fan of milk anyway. This hotpot has a chockful of ingredients like fish cakes, pork slices, prawns, artificial crab meat, meat balls and suey choy. 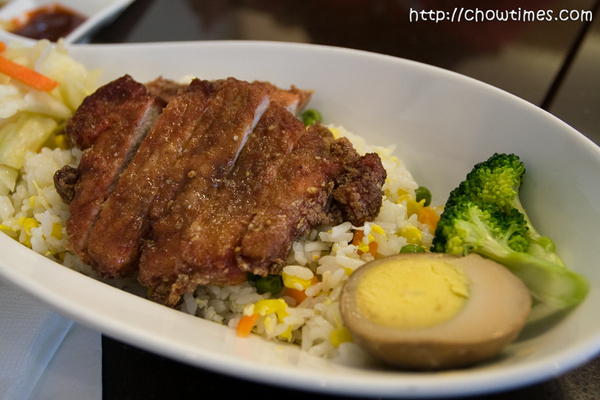 Nanzaro, the “fried rice everyday” boy, ordered the Fried Rice with Deep Fried Fermented Pork. At $8.50, it is more of a fried pork rice than it is fried rice but is really good. This is like a step up for Nanzaro! 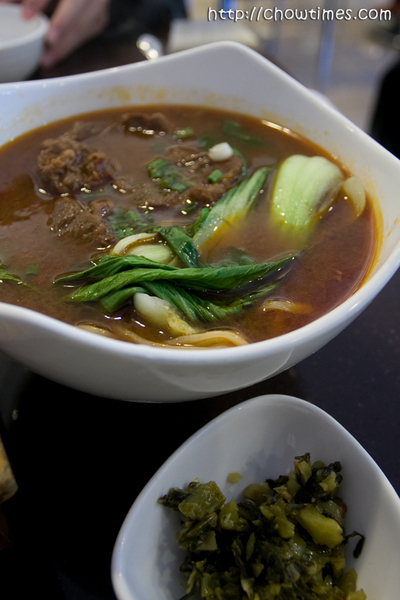 Arkensen though had noodles … the House Special Beef Noodle in Spicy Soup. If you like spicy hot food, they make really spicy ones. I am actually quite pleasantly surprised how spicy this one is. This one is $8.50. The total bill before tips and taxes came up to $42.53 which is not too bad. Tri-ty is a nice surprise find. We like it a lot and told ourselves we will return again. Please note that they take cash only. Ordering is also very simple because they give you the menu in a pamphlet form for you to mark the order you want. 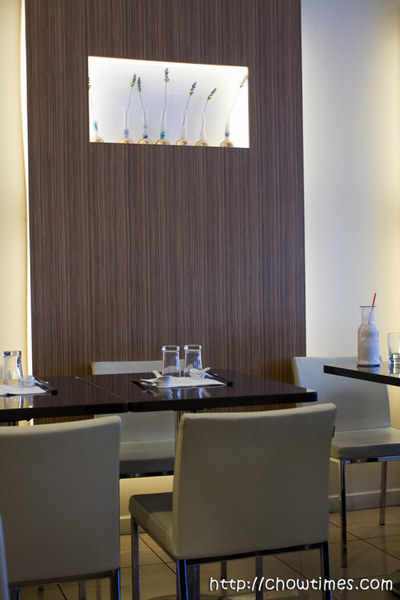 Tri-Ty has a very extensive menu and a very impressive 5-page “Light Meal” and drinks menu. I highly recommend them. Hi Ben and Suanne, Happy New Year to you all! 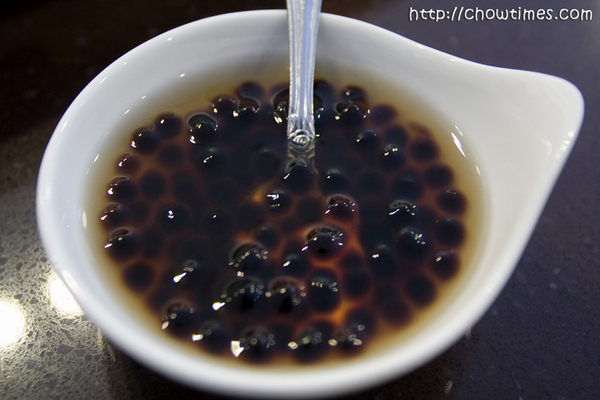 Had to comment because I’ve had food like this before but never knew it was Taiwanese, now I do. Like the distinctive sourish pickle taste, cleanses the palate for the other dishes, enjoyed this post! 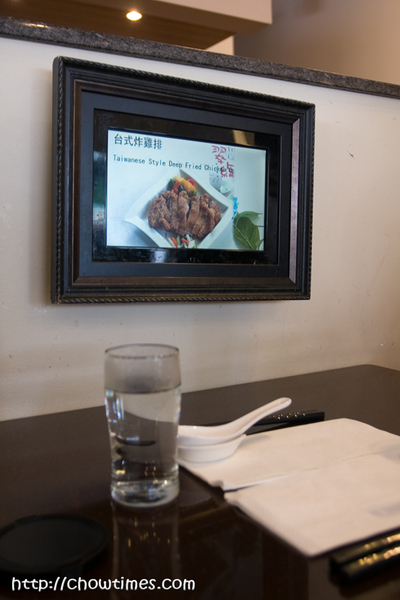 Is it typical of Taiwanese restaurants for them to give you the menu and you check off what you want? I had this at a Taiwanese restaurant in Ann Arbor and also at the dim sum restaurants here. Anyway, the drinks and light meals look the best to me! 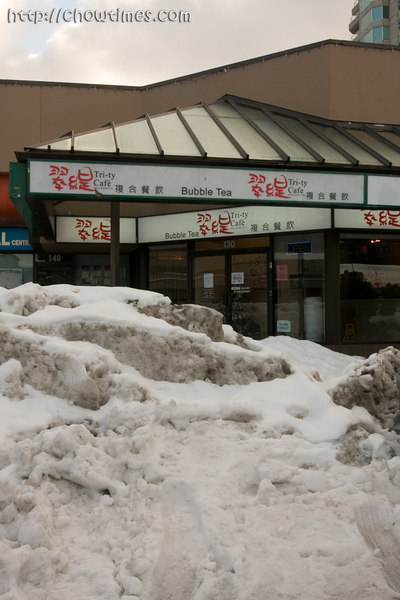 It is not common of Taiwanese restaurants to provide an order form, at least not to my knowledge and what I see of Taiwanese restaurants here in Vancouver. 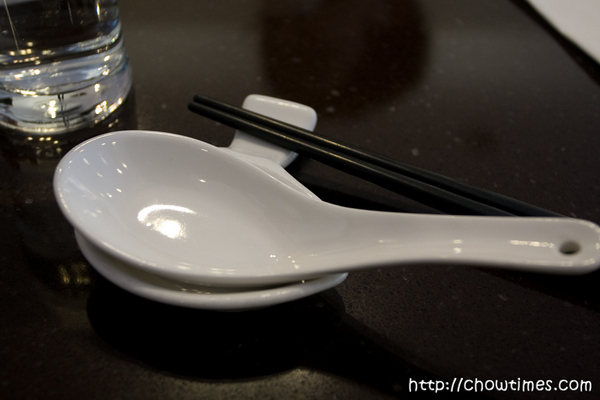 I see quite a bit of this from Dim Sum places though. This place actually had inflated their prices quite a bit. 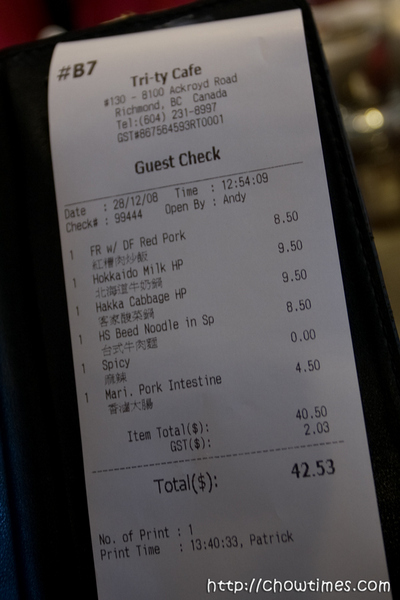 I remember I use to order their Taiwanese Beef Noodles everytime I go (it is VERY GOOD by the way) and and it used to be $6.95, now I believe it’s around $8-9. They’ve also cut back on the amount of beef in it too. 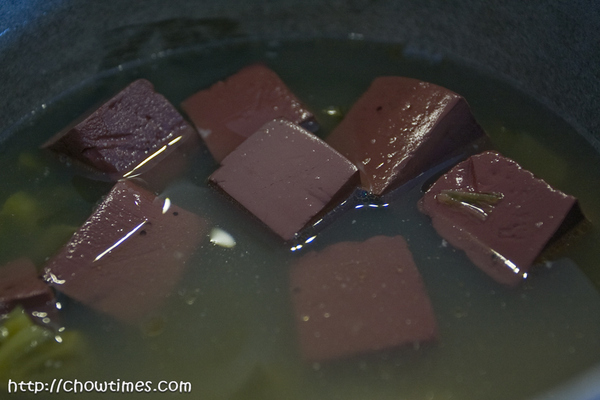 Yes, that’s pig’s blood. I am surprised you did not like it. 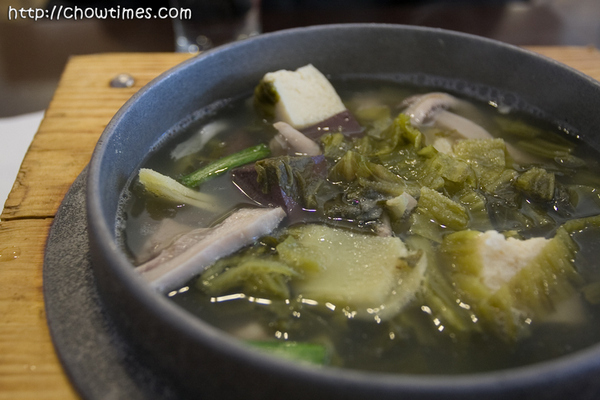 If you closed your eyes and try it, you will find out the consistency is similar to that of medium/firm tofu, with a slight iron-like taste.